Erosion Control Blankets are an erosion control material used to protect slopes, channels, and areas where turf has not been established. Erosion occours when the soil runs off a site into streams, rivers, and storm sewers. Erosion has become a large problem in the United States during the last 10-20 years. When soil runs off sites from erosion, the sediment makes it's way into our waterways, thus covering fish eggs and causing problems to the environment. The erosion control blanket protects seed and the soil from eroding, drying out, and helps the seed grow. 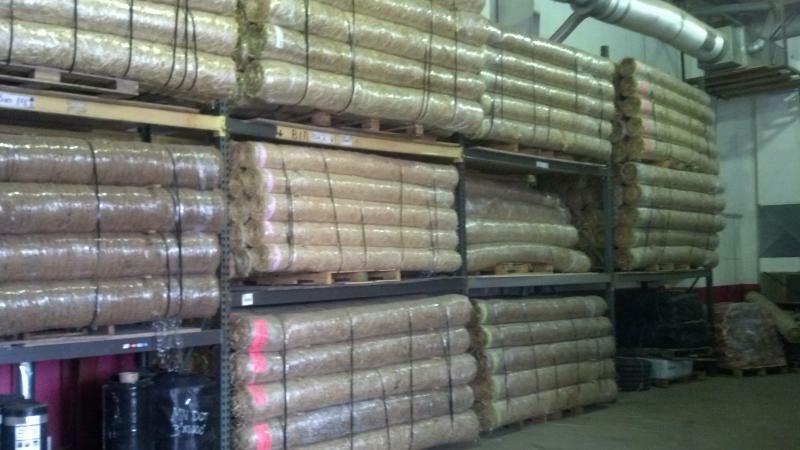 Erosion control blankets come in many different forms, such as: Straw, excelsior fiber, coconut, and synthetic. Erosion control blankets also comes in 2 types of netting: Synthetic, and Jute (all natural). Erosion Control Blankets are easy to install. Just unroll the blanket over the exposed soil, and secure with staples. We carry a large variety of Erosion control blankets to fit your project need. *Straw/coconut provides more protection, generally used on more severe slopes or channels. *Coconut is a strong natural fiber, the best protection of all natural fiber blankets, generally for severe slopes or channels. *Permanent TRM's used for severe slopes and channels with up to a 3 year life span. *Futerra netless is great for lawns and golf courses, as there is no netting leaving no trace behind. Available in 8oz, 10oz., and 12oz. Please contact us with questions about our Erosion Control Blankets. Most all of our blankets are MN DOT approved, and we carry a wide variety to fit your project needs.